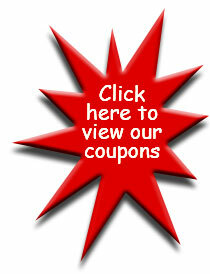 Dapper Ducts, Inc. provides air duct cleaning services to Washington DC, VA, and MD. Our air duct cleaning company consistently invests in the most modern technology and air duct cleaning equipment to rid your home of the dirt, bacteria, dust and debris that has built up in your air ducts. We use a negative machine, equipped with HEPA filtration, and a powerful air compressor and air agitators to ensure your air ducts are thoroughly cleaned. 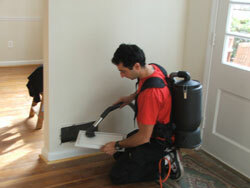 The duct cleaning process followed by Dapper Ducts, Inc. is in strict accordance with NADCA standards. Cut an access hole in the main ductwork, and attach a negative air machine to the hole. The return ductwork is cleaned in mostly the same way. However, often times the return ductwork is wide enough to allow us to use hand brushes and vacuums in addition to agitation. Retrace oursteps throughout your home and do a final "touch up" to ensure that the areas in which we have worked are clean, vacuumed and left in their original condition.